Are you looking to decorate or redecorate a bathroom? 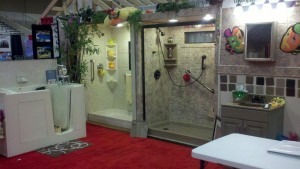 The March 18-19 Mountain Living Home and Garden Show might be the answer. 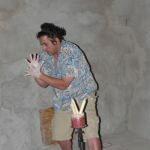 Let’s suppose you’re interested in the newest, most unique and natural merchandise available for your home, condo and/or outdoor grounds. Put your fears and out-of-town travel plans to rest. 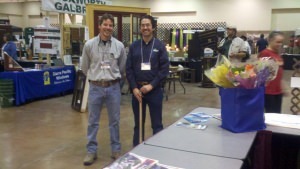 The 14th Annual Mountain Living Home and Garden Show will take place Saturday, March 18 (10 a.m.-4 p.m.) and Sunday, March 19 (11 a.m.-4 p.m.) at the spacious Ruidoso Convention Center. All of your considered salable needs for indoor/outdoor products will most likely be met. Uncommon decors; exceptional flooring and appliances; appealing windows and doors; art; jewelry; quilting; impressive sun rooms and outdoor kitchens; furniture; cabinetry; counter tops; gourmet products; custom log home information; spas; solar information; landscaping and hundreds of new products, services and ideas. Experts in real estate, financing and building in addition to 80-plus vendors from four states will be readily available to aid and help you with any and all questions. 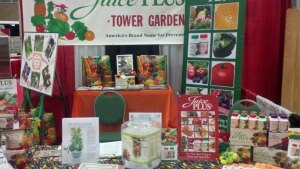 Garden seeds are readily available at the Home and Garden Show. Mountain Living Home and Garden producer, Trish Thompson, has 13 years of experience generating these exhibitions for the public’s viewing pleasure. She organizes, sells and advertises this gala event from conception to conclusion. As a consummate show assembler she endeavors to bring her creation as close to perfection as possible. Whether you live in the scenic mountain village of Ruidoso year-round, seasonally or expect to buy property soon, this show should not be missed. Even if you’re just visiting come on over. It just might give you some ideas concerning your current residence. Spring is just around the corner (March 20). The scheduling of this expo is well-timed for those who wish to get a handle on home and garden acquisitions at the right time. More than 80 vendors from four states will be on hand to answer all your questions. While you’re there, consider registering to win some exceptional prizes: flowers, tools, garden seeds plus other fringe benefits such as discount coupons from individual vendors at this year’s home and garden show. Featured Artist Display from Dr. Kenneth Wyatt, one of the most well-known prolific Western artists of today with a career spanning over 40 years and over 9,000 originals. Dr. Wyatt’s Galleries are presently located in Tulia, Texas, Red River and Ruidoso, New Mexico. If you become hungry – or even if you aren’t – you will surely enjoy the fine cuisine catered by Chef Shawn’s Eatery of Ruidoso. Remember, that’s Saturday, March 18 (10 a.m. to 4 p.m.) and Sunday, March 19 (11 a.m. to 4 p.m.). For adults there will be a $5 charge at the door. Children under 12-years-old will be admitted free when accompanied by a grown-up. For further information, call Trish Thompson at 575-808-0655 or email her here.